This is my mum’s Christmas pressie (and no, it’s not meant to be a surprise ;o) ). Having offered to make her a dress for dancing, it dawned on me that it would be perfect for the dance she and my dad are having for their joint 60th birthdays. As this is in 2 weeks time, I had to pick up the pace a bit! We found the outer material, a linen/cotton mix, at the market in Bedoin when we were on holiday. 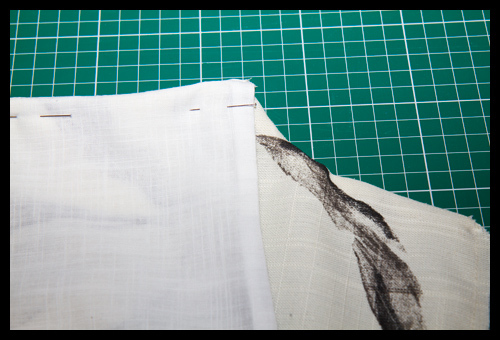 It’s quite sheer though, so we found some white linen/cotton mix in Mandors a couple of weeks ago to line it. The pattern was found in Sew Today magazine which I had on holiday with me, although we did a bit of a hunt around to see if there were any others that caught her eye before I started. 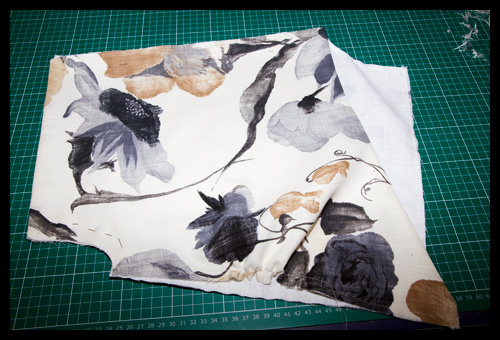 This was the pattern mentioned a couple of posts ago that was the wrong size, if you recall, but oh well, I now have a muslin and my own traced and resized skirt pattern. I thought I’d give a bit of a step by step with this as I rather deviated from the original pattern directions! 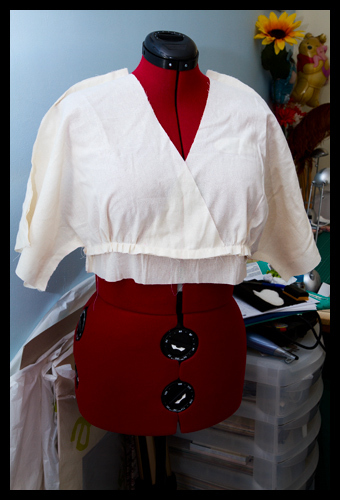 First up is the muslin for the bodice that I made when mum was up a couple of weeks ago. If you look closely, you’ll see that all the seams are on the outside – I figured it would be easier to see all the pattern markings that way. 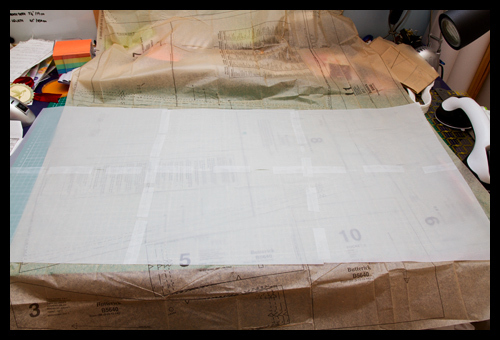 Bearing in mind I had added 3/4″ to each piece in the bodice, I drew up the straight line on each skirt piece, moved it over 3/4″ and joined up to the waist band and hem. Because the materials were so prone to fraying, I decided to do French seams all round, and at this point was really glad to see that Sew Mama Sew had a tutorial on French seams last week. This was where the headaches started… To try and reduce the bulk (and of course potential pattern shrinkage) I had to seam the bits in a certain order. 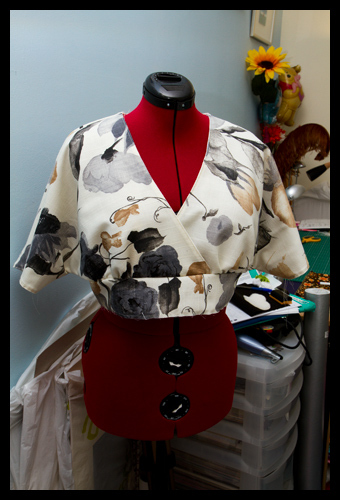 I started by sewing round all but the waist line of the bodice sections with the fabrics wrong sides together. I didn’t need the shoulder and underarm seams to be sealed off yet, so I just did the encasing on the collar and sleeve sections. For the next time, I’d do the top stitching at this point, and leave the shoulder and underarm seams until after the French seams for the collar and sleeve were completed to cut down on seam bulk. 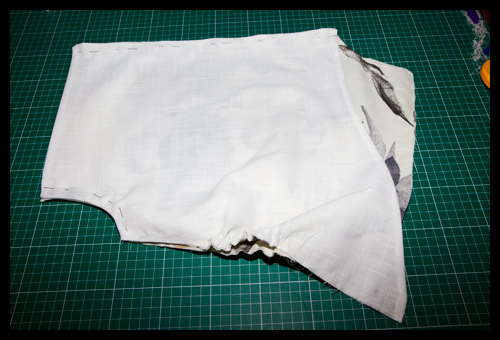 Here is is now with the shoulder and underarm seams ready to be encased. I find it quite odd having the inside almost as perfectly neat as the outside here! 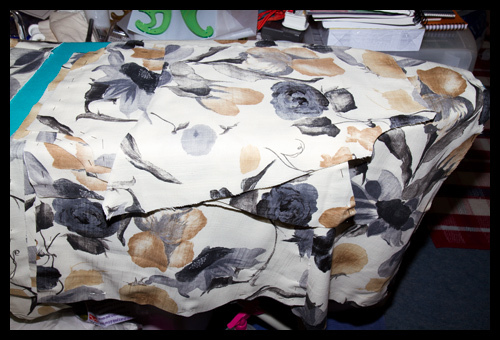 I did manage to make the seams opposite each other for the skirt to midriff join. I also managed to get in an almost entirely invisible zip (teeny reveal at one midriff seam, but only if you look really closely) Threads magazine happened to have an article on installing invisible zips, and even though I don’t have an invisible zipper foot (which I don’t really think you *need* for this) I think it worked very well. 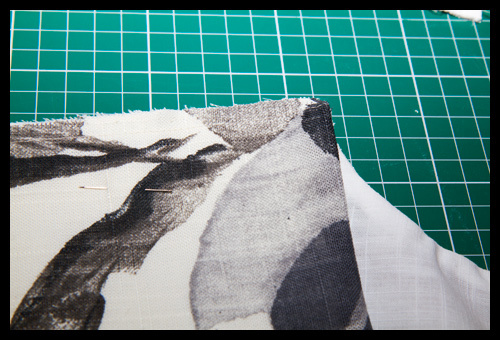 I’ve never thought of pressing the coils away from the fabric bit before, but it does help you sew nice and closely in. My main problem with the pattern for the skirt section is that it gets you to sew the 2 back pieces together up to jus below the zipper and then front to back. If I were to do it again, I wouldn’t sew the back pieces together until I was applying the zip, to ensure it came out perfectly evenly, as I do have a teeny bit more fabric on one side below the zip than the other. Still, I think it more or less worked well, and I used my overlocker to seal off the raw edges of the fabric next to the zip. All that remains is for it to be hemmed, but I’m waiting until I see mum again to finish that bit. I will of course try and get a better photo of mum wearing it rather than Diana! Beautiful, your Mum is going to love her pretty "party" dress. Can't wait to see your Across the Sea piece. The dress for your mum turned out rather lovely, didn't it? I'm sure she's going to love it. I really like the fabric and the pattern. 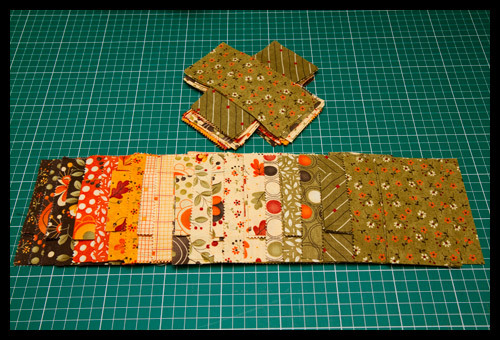 The assortment of quilt fabric is terrific…love the colors together. 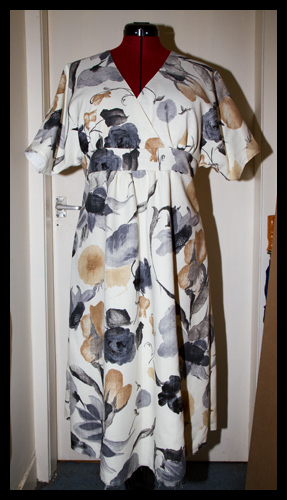 The dress looks wonderful and I really appreciate all the care you have taken to overcome the challenges presented by the choice of pattern and fabric. I can't wait to try it on and I'll be so proud to wear to the party. I hope your mum has a wonderful time celebrating, wearing your lovely dress. It's lovely, Katy! Your lucky Mom to have such a talented daughter! I am duly impressed! Good for you and lucky for your mum. What a nice job and thanks for the details of construction. Not so that I can do the same but I do like seeing how you've gotten from point A to point B and all the thought, planning and work that goes into it. I hope your mother has a great time dancing in her new dress!